The following businesses are charity partners (standing order supporters or similar) of ERGoodCauses, and are the driving force behind the work we do in East Renfrewshire. As a charity, we can't take any responsibility for any work these businesses carry out, however we can verify that they are supporters of ERGoodCauses, and we thank them for their ongoing support of our community. One of the UK's largest residential developers - building more than 10,000 homes each year - Taylor Wimpey is committed to working with local people and communities. As one of the two lead homebuilders on the new Maidenhill development in Newton Mearns, Taylor Wimpey West Scotland is working in partnership with East Renfrewshire Good Causes. 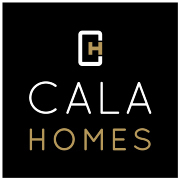 CALA Homes, which has been building premium homes for more than 30 years in a range of sought-after locations, prides itself on close involvement within each of its communities. As one of the two lead homebuilders on the new Maidenhill development in Newton Mearns, CALA Homes (West) is working in partnership with East Renfrewshire Good Causes. 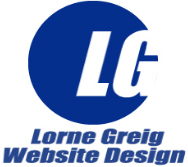 Lorne Greig Website Design offers a full website design and hosting service. Established in 1998, Lorne has built hundreds of websites for companies, charities, sole traders and government departments. Whether you are looking for a new website, a refresh of a present website, or hosting services, get in touch today for a no obligation chat. Quiet Design Studio is a graphic design company based in East Renfrewshire and run by Richard Parkin. With over 15 years experience, Richard offers creative design solutions from branding and logo design to advertising and printed material such as flyers, brochures, reports, newsletters and much more. 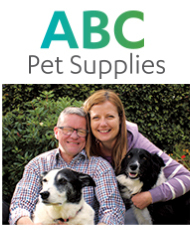 Established in 2006 by Yvonne and Russell Macmillan, ABC Pet Supplies is a local, friendly, family service that delivers domestic pet food supplies throughout the southside of Glasgow and surrounding areas. We stock all major pet food brands and offer competitive prices with many great deals available all year round. Eastwood Mearns Taxis provide Taxi and Private Services in and around Glasgow including Newton Mearns, Clarkston and Newlands. 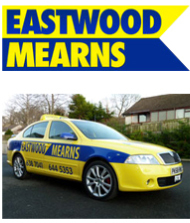 With a fleet that operates 24 hours a day, 7 days a week, Eastwood Mearns Taxis is always available for local and long distance journeys. We have provided our luxury tours since 2004 and are dedicated to delivering a professional and friendly service that is unmatched. Your tour can be of any duration, from a one day sightseeing tour to a two week vacation, as every tour is unique and designed to suit your individual requirements. 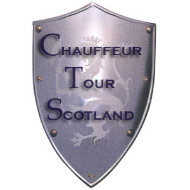 Our chauffeurs are experienced, friendly and knowledgeable and will help and advise you throughout reinforced by a dedicated administration team. No matter what the request or desire we will endeavour to fulfil it to give a memorable experience of Scotland and its people. At Nicol Estate Agents we believe that people and experience sells homes. Karen, Douglas and the team have over 70 years' combined experience in the industry having worked in senior positions for several large Estate Agents across the West of Scotland. Nicol Estate Agents focus solely on residential sales and are members of the National Association of Estate Agents and the Property Ombudsman. So if you want an Estate Agent that puts you at the heart of our business, call us today for a free, confidential, no obligation market appraisal. Industrial and Commercial Roofing and Wall Cladding Specialists, offering design, supply and installation of all specialist systems in the Construction Sectors. Situated just off Ayr Road behind Whitecraigs Bowling Club we offer 8 full size tennis courts (6 floodlit), 1 mini tennis court, 3 squash/racketball courts and a fully equipped gym. We are about to be the first tennis club in the West of Scotland to install new all-weather artificial clay courts. We also have personal fitness, physiotherapy and beauty businesses operating from our premises as well as a lounge and bar, with facilities for functions. We offer family memberships (2 adults and 2 children), Senior, Veteran (over 45), Intermediate (16-25), Junior (10-15), Mini (8-9), Bambino (4-7) as well as gym only, squash only and social. At Clarkston Toll Dental Practice we provide a full range of NHS and Private dental treatment in comfortable, relaxed surroundings. Originally established in 1945 the practice has been going strong for many decades and in 2013 moved (downstairs) to larger, modern, ground floor premises complete with full wheelchair access, sterilisation room and toy room for children. We understand dental treatment can be stressful for the patient and we take pride in making the experience as pain free and comfortable for the patient as possible. Turnkey offer proactive support for your network, servers, PCs and laptops and ensure your business remains fully protected by putting proper backup and anti-virus procedures in place. Established in 1980, we also supply accounting, bespoke, mobile and web solutions and are a Microsoft Certified Silver Partner. We are happy to carry out a review of your business's systems and software free of charge. 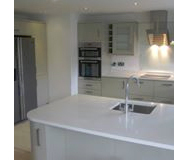 Glasgow Kitchen Fitters have the expertise and know-how to complete your kitchen transformation with the minimum of fuss and delay. Intelligent Land Investments (Renewable Energy) Ltd. is an investment management company which focuses on creating planning gain for renewable energy projects including onshore wind farms and hydro projects. Intelligent Land Investments Renewable Energy Ltd secures prime strategic sites for wind farm and run-river developments and takes them through the planning process. Once this is achieved and the site is developed, a guaranteed revenue is created for both the landowner and lease-holder. Electrical Services for domestic, commercial and private landlords. Russell Gray and his trusted team have been operating since 2005 and take on general plumbing and heating jobs from full Central Heating and Boiler to the smaller outside tap installation, and everything in between. Level access Wet Floor Shower areas, Landlord Gas Safety Certificates and all carried out by Gas Safe registered engineers. Call today for a free quote. 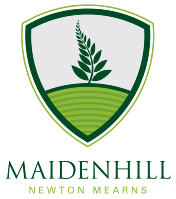 Maidenhill is the brand new community being developed by homebuilders CALA Homes (West) and Taylor Wimpey West Scotland. The multi-million pound neighbourhood will offer more than 800 new homes, including affordable properties. Both homebuilders have also committed to a host of wider community benefits, including the allocation of land and funding to a brand new school, Maidenhill Primary. We are a glasgow based manufacturer of specialised trikes/bikes, that are designed to suit the individuals requirements of your child/teenager as a result of their disability. Each bike is custom made for each person. If you have a family member with special needs, please get in contact for a free quote. Charitable Bookings is a restaurant booking service that donates £1 to East Renfrewshire Good Causes every time you book with us...at NO COST TO YOU! Help us support this good cause via www.charitablebookings.org. We're also available at the App Store. Our business is solely based on Medical/Disabled Adaptations for disabled clients in their home environment. We have been engaged in this type of work for over twenty five years. Our company is based in Paisley and our contracts cover the Glasgow and West Area. The type of contracts we are involved with cover a variety of works relating to the provision of access, bathing and hygiene facilities for clients. General examples of these include (1) Internal timber handrails, external metal handrails, grabrails, etc. (2) Overbath Showers, Step In and Level Access Shower Systems, Wet floor Shower Areas. (3) "Clos-o-mat" and "Biobidet" toilet units, "Showerloo" toilet/shower cubicle units to bedrooms. We are a member of Refrewshire and East Renfrewshire Council Trusted Traders Scheme, which is administered by their Trading Standards Department. We are also a CHAS accredited company in respect of our Health and Safety Standards. 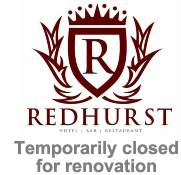 The Redhurst Hotel is located in Giffnock and is part of the Manorview Hotels and Leisure Group. The hotel has 17 bedrooms and two separate function suites. The hotel caters for a variety of events, from weddings to birthday parties and christenings. The spacious bar with its welcoming surroundings and open fire, is a popular place for locals to gather and socialize. The busy restaurant serves a wide-ranging menu of delicious meals. With a strong focus on customer service, the staff at the Redhurst consistently deliver high standards with a friendly welcoming smile. Austin Lafferty has been in the legal profession for nigh on 40 years now, and leads a team of solicitors, estate agents and support staff in two local branches, Giffnock and Newton Mearns. Clients are offered a range of property and other legal services such as will, powers of attorney, commercial and family law. First appointments for a friendly and informative consultation in both branches are free, and costs for all conveyancing transactions and other legal work are quoted in advance in writing. We are a long established, local service providing full, part and individual item removals, within the East Renfrewshire/Glasgow area. We also provide both decorating and cleaning services. For a free, no obligation quote, please contact Mr David Mackintosh using the contact details below. At Currys PC World Business, we tailor our products and services to find the right solution for you. Whatever technology, electrical goods or service you're looking, for we can help. Should you require any assistance or advice, you can contact your local dedicated Business Advisor Amran, see contact details below. We are a very friendly independent optician based in the heart of Eaglesham. We provide a wide variety of specialist and standard ophthalmic services. So for a fast, professional service, please get in touch for all your eye care needs. 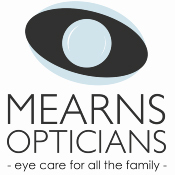 Mearns Opticians and Contact Lens Practitioners are dedicated to providing the highest standards of professional eye care and specialist clinics, combined with quality products to suit all age groups, including bespoke eye wear for sports and leisure. We serve the community both in our practice and also for patients in their own homes, care homes and residential facilities. We take great pride in being part of the local community, and work closely with local GPs and Pharmacies to provide specialist emergency eye care. For more information, or to book an appointment please feel free to contact us. A local well established family business that has been trading for over 30 years providing suberb and economy quality carpet and floor coverings of all types to domestic and business customers. To obtain a free quotation, please contact Paul Gormley, the owner via the contact details below. Good quality painter and decorator with over 30 years of experience. Friendly, reliable and great value for money service. Serving Glasgow and the surrounding areas for many years, Gillian and Bruce McLean put their success down to taking care of their customer's needs, and always making sure that they give them the best deals. Prestige are a leading tyre provider in Glasgow's South Side with a strong reputation for attention to detail, professionalism and a friendly service to meet all your tyre needs. Specialising in providing tyres for cars, vans and 4x4s. Supported by a specialist team of trained in-house fitters and the latest modern equipment at hand, Prestige will always ensure an honest, top quality job you can trust. We have a wide range of options to meet every need, requirement and budget. East Ren Taxis provide a wide range of services for individual transport needs. i.e. school runs, daily commutes to and from work, daily excursions, shopping trips, hospital appointments, deliveries, airport transfers, etc. If you would like to make an enquiry use our online enquiry form or telephone anytime to discuss your requirements. With our free Ring Back Service we can let you know when your vehicle is approx 500 metres away! GAT Plumbing & Heating Ltd was established in 2010 and our business is mainly based on carrying out Disabled Adaptations within clients homes. These works could range from being Wet Floor Shower Areas, Level Access Showers, Over Bath Showers, Access Ramps, Handrails, Low Threshold Doors, Rise and Fall Kitchen Units to the full build of extensions to provide Bedrooms/Wet Floor Showers etc for clients. GAT operate within Glasgow and the surrounding areas, Renfrewshire, Inverclyde and East/West Dunbartonshire and are a trusted trader with Inverclyde Council. GAT are also Safe Contractor approved for Health and Safety. GAT is a family run business and we pride ourselves on our reputation within this field of work. Etellect implement and support people-centric business solutions. We customise our technology to suit your unique business processes, thus ensuring you can maximise the productivity of your workforce, manage skills availability and ensure your business can compete in this highly competitive and digitised world. Established in 2010, Lion Leaflets have provided a full Leaflet Distribution, Design & Print service. With over 8 years' experience we have the local knowledge & know-how to follow through on our promises. Every month we continue to deliver to tens of thousands Glasgow & South Lanarkshire addresses. The Southsider Magazine is our local advertising magazine delivered every month to 10,000 prime Southside addresses. New Two is a Social Economy business which supply's new furniture & household items and whose profits help to support the Second Opportunities charity. We are a local Company which provides all domestic furnishings, electrical appliances and carpet/ vinyl flooring. Free measuring assessments are available and delivery/ installation can be arranged on all products if required. Second Opportunities is a Furniture Reuse Charity providing a clearing house collection service for redistribution to those experiencing furniture poverty. If you have furniture you no longer require but which is still in an acceptable useable condition and you would like to go to a good home then contact our Furniture Reuse Centre at 302 Broomloan Rd Glasgow G51 2JQ. Also on Facebook. We are a furniture and household goods recycling centre based in Barrhead but serving the area of East Renfrewshire. If you have good quality second hand items that are too good to go to the tip, please contact us.